Maria, AKA BustAGroove, runs to inspire others who may have family health history related to obesity and heart disease. Running is Maria’s "me time.” She runs to improve her mental and physical health, take a break from stress, problem solve and reflect. She is a member of several fitness groups including Pasadena Pacers, Run With Us Club, Half Fanatics, and 5K and Beyond Running Group. 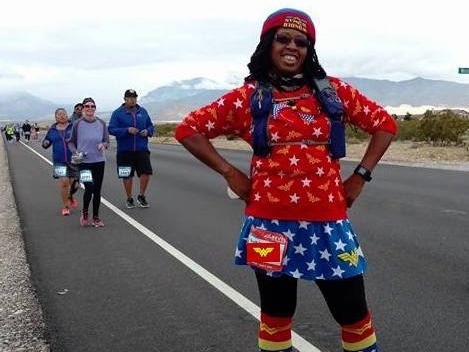 Don’t be surprised if you see Maria out on a REVEL course in her Wonderwoman costume; she has a particular fondness for superhero characters. How else Maria REVELs: Can You Say ZUMBA? ?